Happy Thursday and thanks for stopping by! I have a treat for you all today! 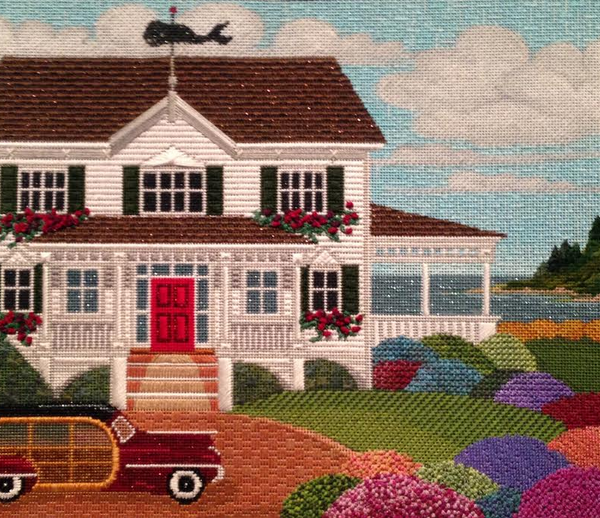 I’m excited to say that the Stitch Guide for Peter Ashe’s To The Shore is complete, and available for order! For those of you who are familiar with Peter Ashe’s work, you will know that he tends to paint a lot of landmarks in the Southwest, and San Francisco. This piece is so totally unique and unlike any of his other designs. Think New England Summer- on the coast! I think it’s stunning. I always joke that I want to move into this house one day! But I mean, really… Who wouldn’t!? The stitch guide is available by emailing stitchstyleblog@gmail.com and the canvas can be ordered from any L.N.S who carries canvases from Julia’s Needleworks. 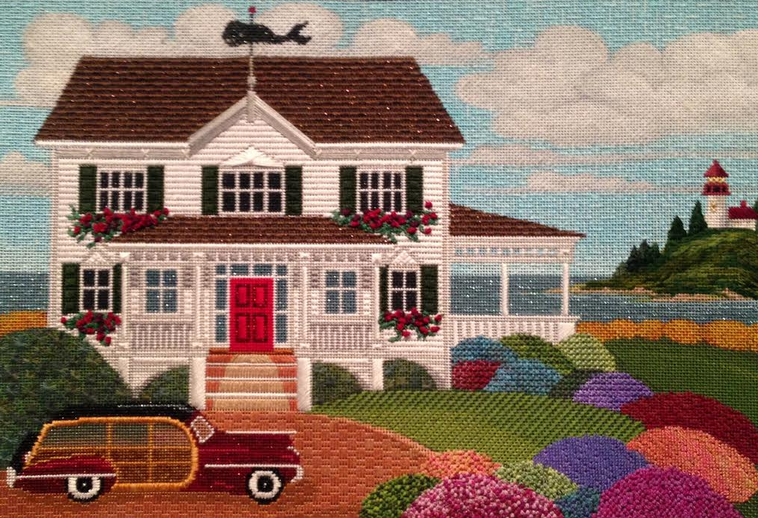 To The Shore was an absolute blast to stitch. I’m certain you all will love it too!